This article will show you how you can tailor your live player to suit the webpage where you'll be hosting it. 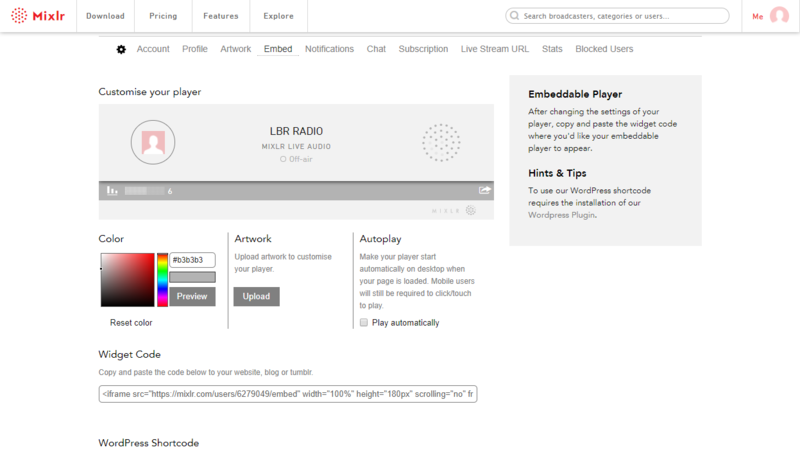 Your live player page is accessible from the Mixlr homepage, or by going to Settings > Embed. 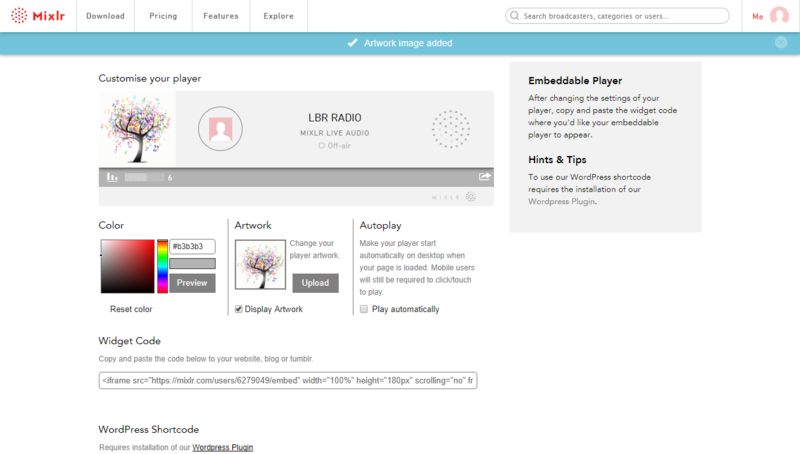 Customize the colour of your live player to reflect the design of your website or blog. You can use the color fader square and rainbow bar to select a color, or enter the hex triplet directly into the cell to the right. Use the 'Preview' button to see how the live player will look with this new color. TIP: currently it's only possible to customize the color of your live player on the Premium Plus and Pro plans. You can upgrade here. 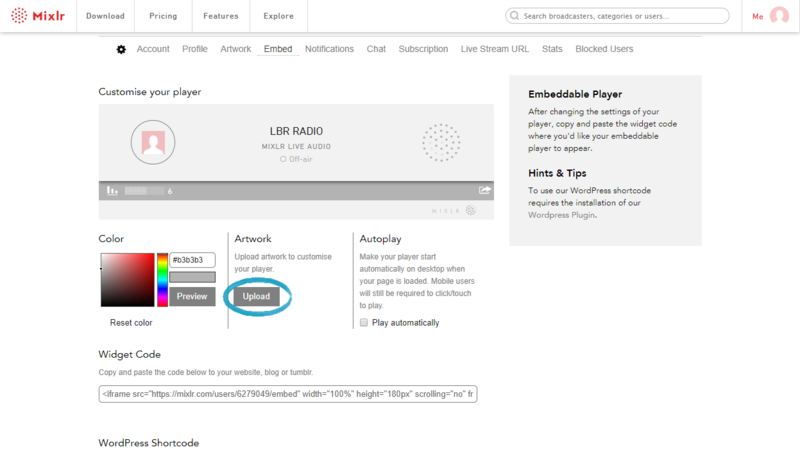 Select the 'Upload' button to choose the artwork which will be displayed on your live player. 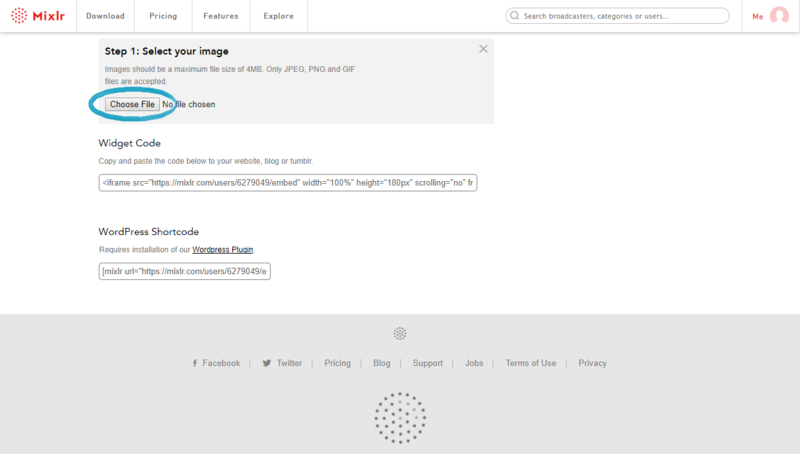 This will bring up another button to enable you to choose your artwork image. Select your artwork image in your File Explorer window and click Open. You'll then see the cropping tool appear around your image so you can ensure that it fits perfectly into your live player. 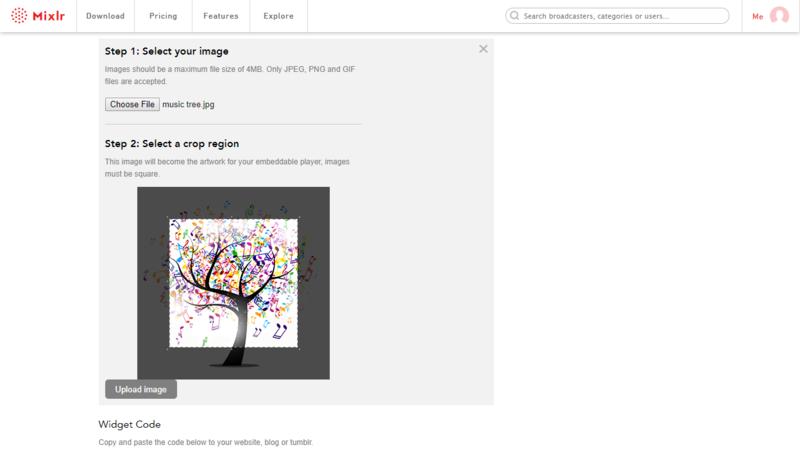 Click 'Upload Image' and you'll see your new artwork set up in your live player. 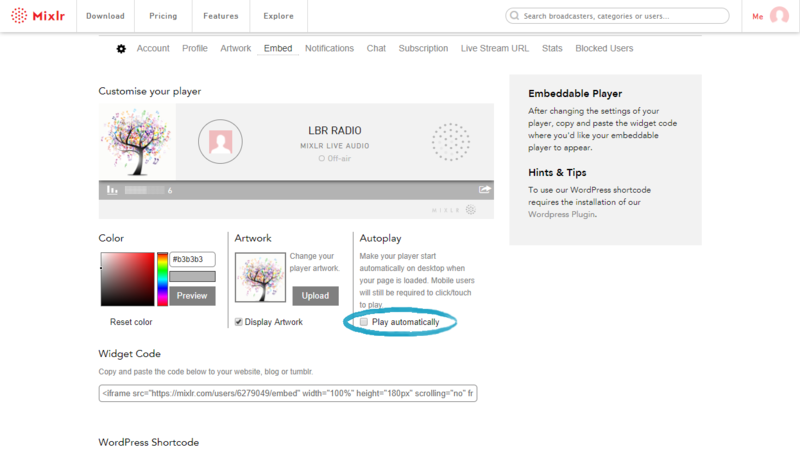 If you would like your player to automatically start playing when someone visits your website or blog, check the 'play automatically' box. TIP: currently it's not possible to set the live player to play automatically on mobile devices. Certain desktop browsers, for example Safari and Chrome, may also prevent autoplay. The live player will automatically resize to fit the width of the element it is placed in. Here are some examples of how it will look in different size elements. Once you have customized your live player, find out how to insert it into your website or blog here.